Blog Interesting facts about carpets! I bet you’re thinking, surely carpets can’t be that interesting? Well you’ve come to this page so I can see you are intrigued… So let’s hope we surprise you! When vacuums first went on sale, they were actually really hard to sell to consumers. Why is this you ask? It was because people were offended by the thought that “their” carpets were so dirty! 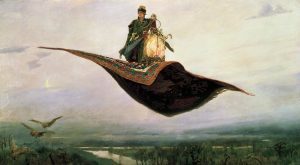 In the Middle Ages, oriental carpets were considered prized artifacts in Europe. This was because the crusaders would return home with them followed by stories of travel and adventure. What do you think of when you hear ‘red carpet’? Let me guess, the Oscars and other celebrity events? However, red carpets traditionally marked the ceremonial and formal routes of leaders and politicians. The first reference to a “red carpet” is in the play Agamemnon (458 B.C.) by Aeschylus. The oldest carpet that still exists today is 2,000 years old. It was found in a Scythian tomb in Siberia in the 1940′s, and is called the Pazyryk carpet. Carpets can hold four times their own weight in dirt(! ), and should be professionally cleaned every 12 to 18 months. Okay, so if you read our blogs, you’ve probably heard this before… but it’s a good one! If you keep your carpet properly clean and maintained, it can improve the quality of the air in your home! This is because it traps dust and allergens, and when it is cleaned (properly) you eliminate all of the particles and prevent them from stirring back into the air. Great news for allergy sufferers! Did you enjoy our 6 interesting facts about carpets? …remember, when your carpets need a clean, call Careclean on 01245 323989 to book in your free quote or find out more about our carpet cleaning here.